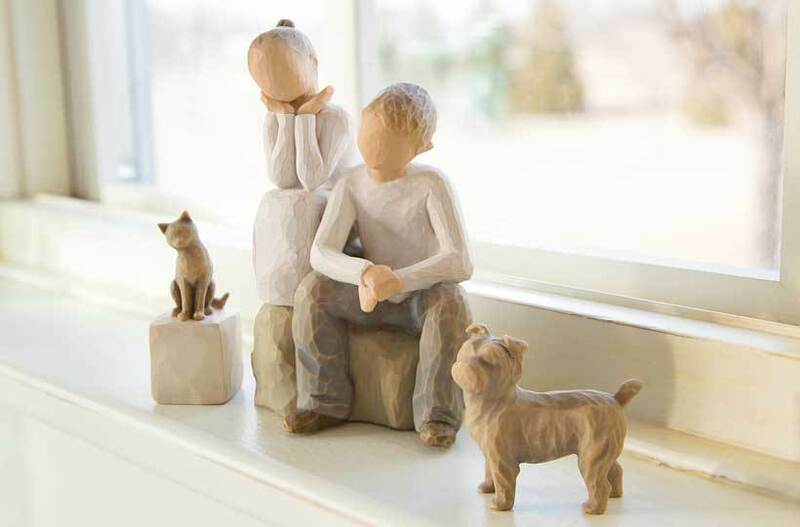 A Willow Tree for every age… a Willow Tree for every stage… Mother and child figurines are reminders of important milestones in every mother’s life. Any of these pieces would be meaningful gifts to celebrate the love between parent and child. The relationship between mother and child is a personal and powerful one, representing a very special bond. Willow Tree mother and child figurines are a tangible way to express the love and support inherent in the mother child relationship. Figures of mother with newborn, baby, toddler, older preteen, teenager and adult children depict the important milestones in our lives. Tenderness as well as independence is reflected in the gestures of these figures. A gift of a Willow Tree mom figure is a way to show appreciation for the importance of a mother's love and makes a wonderful birthday gift, new baby gift and Mother's Day gift.